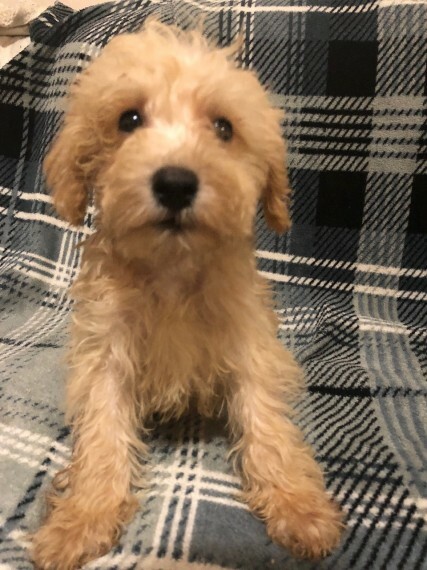 I have a stunning litter of Apricot Schnoodle puppies ready to leave on Tuesday 18th September. 2 boys and 2 girls are available. They all look identical and have such amazing little personalities. Mum is a white miniature schnauzer and dad is an apricot toy poodle. Both are our adorable pets and of course here for you to meet and play with when you visit our home. First vaccination. full vet check and microchip are all done. Pups are ready now.